What If Elon Musk Salvaged The 10 Mile Long UFO on Earths Moon In Waterman Crater? UFO Sighting News. I Tweeted Elon Musk and was surprised at all the retweets people gave it. Apparently there are a lot of people who think its a good idea for Musk to look into. I felt like maybe I should let Elon Musk know about on of the 10 mile long aliens ships that I found. This particular craft is in Waterman Crater on Earths moon. I thought that if I let him know that such a high tech ship with a length of about 10-11 miles long existed, that perhaps he may take an interest in salvaging it. Humanity needs to travel out of our solar system to colonize on other worlds and this craft may still be working. What I mean by working is that you know how a phone gets outdated in a few years, so you toss aside the old one? Well this may only have been replaced with a newer model. Think about how many people a 10 mile ship could accommodate on it. It would be enough to begin new colonies on other distant planets. 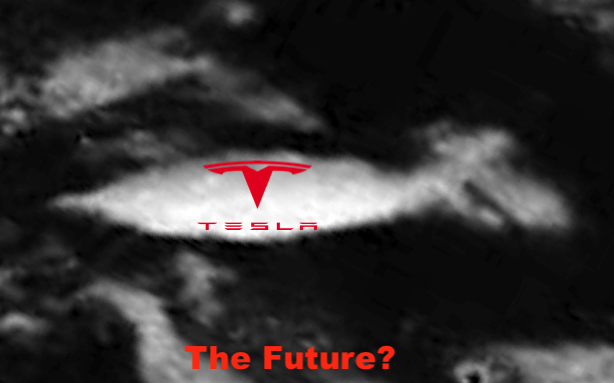 One person said Elon should salvage it and slap on a Tesla Logo on its side…so I made a photo of such a craft below for inspiration. LOL, what if Tesla did salvage the ship? Imagine how it would change our whole planet. Previous Post:UFO Seen By Air Ambulance Helicopter Over Las Vegas, Nevada, Listen To Recording! March 2019, UFO Sighting News. Next Post:Ancient UFO Found Crashed On Mars Near Curiosity Rover, March 2019, UFO Sighting News.